Discover the life story of Pulitzer Prize-winning American poet C.K. Williams with Tar. The drama is named for one of Williams' best-loved poems, which also happens to be a favorite of its star and producer James Franco. See him as Williams, a young lover, distracted writer, and tortured artist, in the trailer above. In this teaser, you might also have noticed Jessica Chastain, Mila Kunis, Bruce Campbell and Zach Braff. While this marks the first time Franco and Chastain have shared the screen, he is reteaming here with several members of the cast of the spring hit Oz The Great and Powerful. In that unofficial prequel to The Wizard of Oz, Braff played the talking monkey BFF to Franco's con artist Oz. Of course, as a recurring Sam Raimi player, Campbell has previously appeared in Oz as well as all three Spider-Man movies with Franco. But the most obvious repeat casting is Kunis, who apparently can't stop falling in love with Franco in his various forms. In the 2010 Steve Carell/Tina Fey action-comedy Date Night, the pair first played lovers, who were crooks who sneered at the rudeness of stealing a restaurant reservation. Technically Tar came next, as it was completed in 2012. From there, the two co-starred in Oz the Great and Powerful as a love-struck witch and the titular jerk who would scorn her. And both are set to appear in the ensemble cast of Paul Haggis's multi-limbed romantic drama Third Person. Their roles are currently a mystery, but as the whole plot is about love in all its forms, it's possible the two could fall in love onscreen all over again. Notably, Tar isn't the first time Franco has played a famous poet. In 2010, he played Beat Generation icon Allen Ginsberg in Howl, the first narrative film from documentarian duo Rob Epstein and Jeffrey Friedman. With Tar, Franco took an even bigger risk, putting his talent and reputation in the hands of a fleet of new directors. Vulture tells us this biopic is written and directed by a batch of New York University students, including Edna Luise Biesold, Sarah-Violet Bliss, Gabrielle Demeestere, Alexis Gambis, Brooke Goldfinch, Shripriya Mahesh, Pamela Romanowsky, Bruce Thierry Cheung, Tine Thomasen, Virginia Urreiztieta, and Omar Zúñiga Hidalgo. Can eleven different directors make one cohesive narrative? 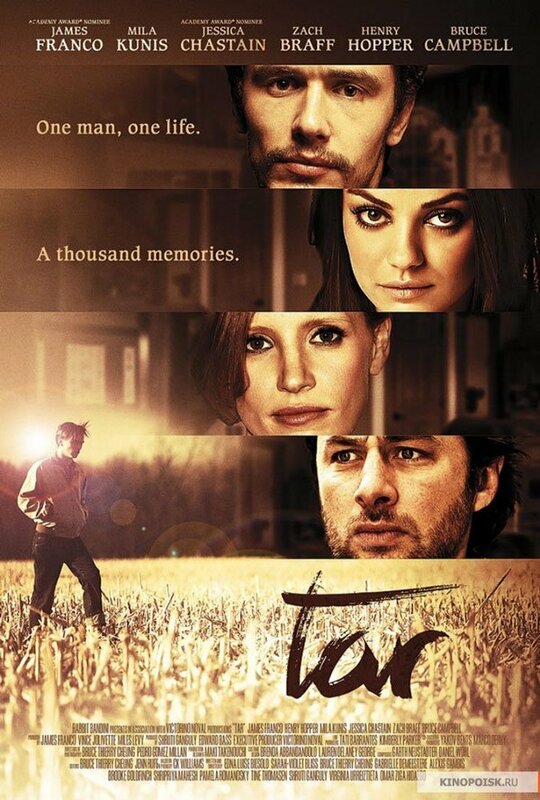 It would seem so, as Tar not only made its world premiere at the Rome Film Fest in 2012, but also was nominated for its CinemaXXI Award. Earlier this year, it showed at South by Southwest, and at long last will hit theaters on December 1st.